Give your pup triple protection from dangerous heartworm and intestinal worm infections with economical Tri-Heart Plus. Tri-Heart Plus is an alternative to Heartgard Plus and Iverhart Plus. Tri-Heart Plus is the generic alternative to Heartgard Plus. It works just as effectively, killing immature heartworm and intestinal worms including hookworms and roundworms. This medication features the same active ingredients as brand name heartworm drugs: Ivermectin and Pyrantel pamoate. Dogs love the flavored chewable Tri-Heart Plus tablets so dosing is easy. Just give your dog a tablet at the same time each month for ongoing protection. Owners love Tri-Heart Plus because this generic medication saves them money! Tri-Heart Plus is sold as a prescription drug in a maximum of a 12 month supply per pet per order per year. Most veterinarians require and the American Heartworm Society recommends an annual heartworm test before prescribing Tri-Heart Plus heartworm preventative for your pet. 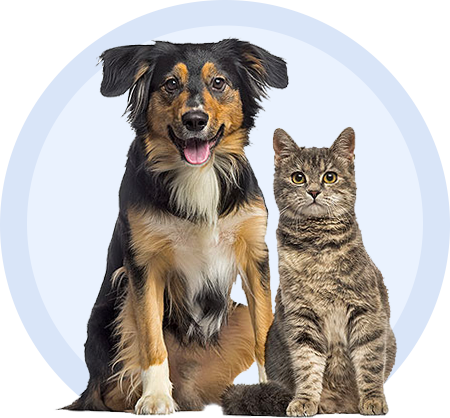 Talk with your pet's veterinarian for more information and to find the best flea and tick preventative to complement Tri-Heart Plus. Tri-Heart Package Insert does not take the place of instructions from your veterinarian. Talk to your veterinarian if you do not understand any of the information provided in this document or if you have more questions about Tri-Heart Plus for Dogs.